The time for summer vacation is finally winding down, and it’s time to get back to the books and go back to school in style with a brilliant smile. 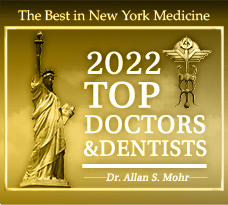 If your teeth aren’t as white as you’d prefer, you may feel hesitant to share your smile with friends, but Dr. Allan S. Mohr can help. 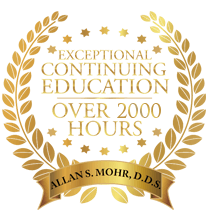 Just in time for the back to school season, Dr. Mohr is offering a fantastic special on our proven-effective KöR Teeth Whitening services. Reserve your visit at our office in Massapequa Park, NY today and receive $100 off your KöR deep bleaching treatment. Why shouldn’t your smile look its best this school year? Stains from coffee, tea, red wine, tobacco, and even some medications can leave your teeth looking dingy and yellow, adding unwanted years to your overall appearance. Over-the-counter whitening treatments and toothpastes may claim to resolve these cosmetic issues, but the truth is that their ingredients simply aren’t powerful enough to completely remove discoloration. 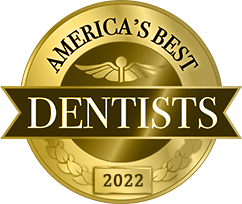 That’s why patients from the Massapequa Park area trust Dr. Mohr’s teeth whitening services for real results that last. The KöR Teeth Whitening solution we use penetrates the topmost layers of tooth enamel, restoring each tooth’s ability to properly absorb oxygen. Years of stains are lifted and eliminated, revealing a luminous white smile that still looks completely natural. Unlike many other teeth whitening treatments, the KöR system causes little to zero sensitivity, and results can last for a lifetime with simple home maintenance. Now is the time to take advantage of special pricing on KöR deep bleaching at Smile Creations. You may find that it turns out to be the most rewarding back-to-school decision you make! A gorgeous, healthy smile is an incredible asset in both your professional and personal life. Make sure that your smile is sending the right impression wherever you go with special back to school pricing on KöR teeth whitening at Smile Creations. Spots are filling up fast, so contact us today to schedule your appointment. We can’t wait to show you what a dramatic difference you can achieve with our teeth whitening services. You’ll love showing off your new smile! 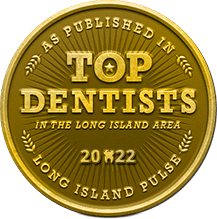 Our office proudly serves patients from throughout Massapequa Park, Long Island, Wantagh, Lindenhurst, Farmingdale, Seaford, and more.